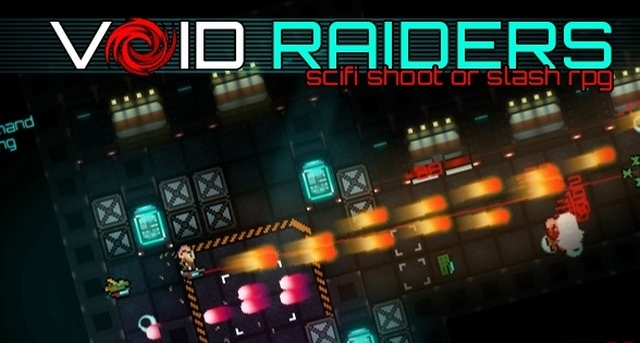 Indie Retro News: Void Raiders - Action packed shooter Steam Greenlight success! Void Raiders - Action packed shooter Steam Greenlight success! Oh what glorious news for the developers Tryzna and music by Bocuma, as their action packed shooter ' Void Raiders ' is now a Steam Greenlight success! Currently sitting in the #21 spot on Steam Greenlight, Void Raiders for the PC is a randomly generated shooter developed using the Game Maker Studio, that aims to keep the player on the edge with multiple levels, each with it's own objective, blasting through enemy after enemy to reach the big bad boss! Currently in an Alpha state and freely available for everyone to download, Void Raiders features character centric gameplay and RPG elements as you battle your way through abandoned bases left on planet Neptune after a civil war. You'll be able to level up your heroes using different talent builds, while collecting awesome loot to smash those evil waves of enemies and big bosses into the ground. For further details and hot blasting action about Void Raiders, see the links below!